Through a cooperative agreement with the U.S. Environmental Protection Agency, Indoor Environments Division (U.S. EPA/IED), NEHA administered its Radon/Indoor Air Quality (IAQ) Program to train environmental health professionals (EHPs) about IAQ and radon. Individuals participated in three-day workshops designed to teach risk assessment and risk communication information about the health effects of long-term exposure to elevated levels of radon gas, asthma triggers, and other indoor air contaminants. This program was a significant component of a larger national radon risk effort. To date, NEHA has trained a network of well over 1,000 EHPs on radon and other IAQ issues. 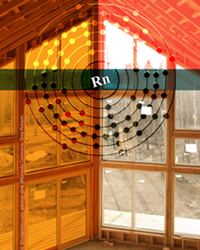 2 ½ day workshop designed to allow participants to gain more knowledge in the technical components of RRNC, the health effects of exposure to elevated levels of radon gas, and building code processes. 2-day workshop designed to reflect national priorities in addressing IAQ and the health impacts resulting from IAQ contaminants. sponsored individuals to attend this symposium, sponsored by U.S. EPA, which features innovative sessions that address various topics associated with implementing an IAQ program in a school setting. For all other questions about NEHA's Radon/IAQ program, please contact Marissa Mills at (303) 756-9090 ext. 304 or mmills@neha.org.